Mail? Yeah, we get mail. Sometimes it’s spam. Sometimes it’s someone who wants a trademark talking head (with a face for internet radio). And sometimes, it’s something pretty cool. Like this infographic from Peter Kim of Paralegal.net. In particular, I like the statistics toward the end of the graphic about firms who have embraced new technologies. Wow. 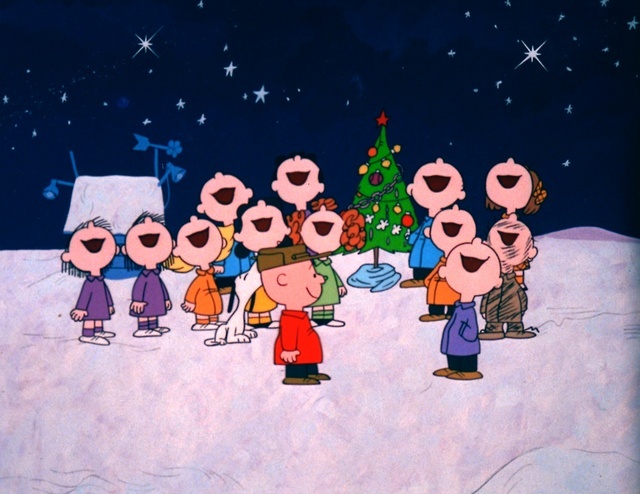 So you take some time off for the holidays (and then catching up from the holidays) and aren’t IP blogging for a little while and then– all of a sudden– the whole web is talking (or not talking, out of protest) about copyright law. You didn’t have to venture too far beyond a simple Google search (which we, as a planet, only do a billion or so times a day) to notice something strange was going on today. Visitors to a laundry list of sites including Google, Wikipedia, and Twitter were greeted by blacked-out logos and missing content in protest of SOPA and PIPA, two IP reform bills currently in Congress. Sen. Marco Rubio (R-Fla.) withdrew as a co-sponsor of the Protect IP Act in the Senate, while Reps. Lee Terry (R-Neb.) and Ben Quayle (R-Ariz.) said they were pulling their names from the companion House bill, the Stop Online Piracy Act. Opponents of the legislation, led by large Internet companies, say its broad definitions could lead to censorship of online content and force some websites to shut down. For some people, tomorrow’s Thanksgiving holiday means not only time spent with loved ones over a turkey dinner– it means waking up at the crack of dawn and running. Pittsburgh Trademark Lawyer is not one of those people. Admittedly, I am a runner, and a somewhat avid one, at that. In fact, I just ran my first marathon in my second-favorite city in Pennsylvania this past weekend. But, on Thanksgiving, I eat. Evidently, the tradition of hosting public footraces on Thanksgiving Day dates back farther than I would have guessed, with the first Turkey Trot taking place in Buffalo, New York in 1896. And while some Thanksgiving Day races bear monikers such as “Stuffing Strut” there are “Turkey Trots” taking place all across the country, which begs the question: does someone collect a licensing fee for all these uses of “Turkey Trot,” or is the phrase more or less descriptive of a Thanksgiving Day race? The applicant applied to register the mark TURKEY TROT in connection with organizing running races, charitable fundraising and community cultural activities on or around Thanksgiving Day. This mark is merely descriptive of the services because it immediately tells consumers that the services involve a “turkey trot. TURKEY TROT is the common, generic name given to running races and surrounding cultural and sporting activities performed on Thanksgiving Day across the country. The examining attorney has attached ten sample websites found using the GOOGLE search engine that show widespread use of this term by others to name their similar races and fundraising activities. 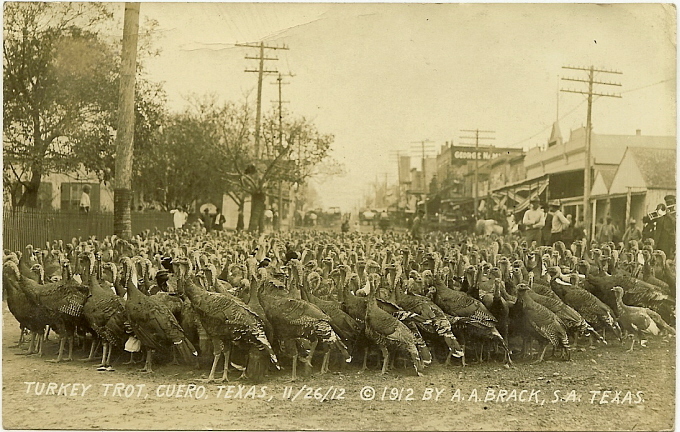 The evidence shows that others have been using TURKEY TROT to name such activities far longer than the applicant’s claimed dates of first use. In the interest of brevity, the examining attorney has attached only ten such sample uses of TURKEY TROT. Given this widespread use, consumers who encounter the applicant’s proposed mark would perceive the wording TURKEY TROT as the name of the activity, and not as a source identifier for the applicant. Therefore, the examining attorney refuses registration on the Principal Register on the basis that the mark is merely descriptive of and appears to be generic for the services. There are a few other applications and registrations that include the phrase “Turkey Trot” and the Office appears to generally suggest a disclaimer of the phrase “Turkey Trot” when it is part of an applied-for mark. All this talk of running is working up an appetite, however. Could someone please pass the cheddar and jalapeno stuffing? It’s probably fair to say that most people–irrespective of profession– look for humor in their daily routines. As a trademark attorney, I spend a good bit of time poring over USPTO records, which (as readers of this blog probably already know) can contain quite a bit of humor (whether intentional or unintentional). The marks themselves are generally the most obvious source of humor, but I sometime get a kick out of design codes (e.g., The iconic MR. PEANUT logo gets the following designation: “Monsters (not robots); Other grotesque including men formed by plants or objects”). Self-proclaimed BRAND GEEK® Lara Pearson shares some trademark-related humor at her blog by the same name. Whether you’re an actor, an athlete, or a musician, one of the big signs that you’ve “made it” is when clothing companies start asking you to don their apparel publicly. El Sitcherino has, for his part, responded— and by what other means than Twitter, and A&F is now characterizing its offer as a PR Move. This situation (the PR one, not the abdominal one) raises an interesting question about companies seeking to police the quality of their brand. Trademark law recognizes this concept in a legal doctrine known as “dilution by tarnishment,” which basically involves an unauthorized use of a someone’s trademark that either creates a link between that mark and products/services that are low quality, or portrays that mark in an unwholesome or unsavory context. Legally speaking, A&F’s possible claims for dilution here are pretty weak. However, a contract’s a contract, and A&F and Sorrentino are free agree on any terms they want. Interestingly, A&F isn’t the only company trying to distance itself from what it sees as undesirable consumers. The marketing bloggers over at Cream have some excellent thoughts on this story as it relates to the recent rioting in England and its implications for Research in Motion (RIM), the makers of Blackberry phones that figured into the organization of the riots. 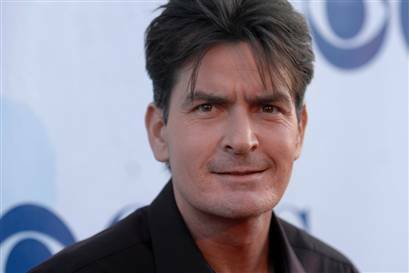 Charlie Sheen’s 22 Pending Trademark Applications? DUH, WINNING™! But, as most of us know, a trademark doesn’t give someone blanket rights or “ownership” of a particular word or phrase. Trademark rights only exist where a word or phrase indicates the source of goods and/or services. I’ve pared down the description of goods/services significantly. And, based on the above laundry list, you may be asking the question: where are DUH, WINNING™ branded travel agencies and prepared foods? Have they not made it to my city yet? Hyro-gliff filed this application under Section 1(b), meaning that they are not currently using the mark in commerce but they have a bona fide intent to do so in the future. But that still begs the question: what, exactly, is Sheen doing? A big part of professionalism is common courtesy. I’m no expert, but I know being a lawyer is so much more fun and rewarding when the jerk factor’s at a minimum. Showing respect. Accommodating schedules. Cooperating in discovery. Having a sense of humor. A side benefit is all this conveys strength. If you’re in the power position, it’s easy to be magnanimous. If the facts or law aren’t on your side, it’s tempting to be shrill. So fake it with kindness and you look like you’re holding the winning hand. Pittsburgh Trademark Lawyer Turns One! Last October, I decided that I’d do my part and give the world just what it needs— another blog (and a Trademark Law Blog at that). At any rate, I’ve had a lot of fun over the past year. The blog has forced me to stay current on trademark issues. It’s been a fantastic outlet for the side of me that thinks I’m still a journalist. And– get this– people actually showed up to read the blog. I want to say thanks to my law firm, Elliott & Davis, for allowing me to indulge my blogging impulses. I also want to thank a few bloggers who have helped me with feedback, tips, and link-based karma. Thanks to: Prof. Michael Madison, Ron Coleman, Ryan Gile, and Jack Greiner (as well as anyone else I may have missed). Finally, thanks to everyone who’s taken the time to read my blog. There’s an old journalistic shorthand– “Man Bites Dog”— for the type of story that’s so strange, so out-of-the-ordinary, that it makes for great news. Here’s a trademark story that fits the bill. An entrepreneurial man in China dubbed the “Trademark Maniac” is trying to make money by registering trademarks, covering his body with stickers bearing the marks, and walking around public places in an attempt to (literally) sell you the trademark off his back. Sound too weird to be true? I’ve got a source for this. “A middle-aged man in a white long sleeve shirt was pasted with labels for a variety of trademarks from neck to heel and walked around Wuhan Plaza holding a red flag on the afternoon of Sept. 27. Strange, yes. But this actually raises an interesting trademark question. Let’s say you are persuaded by Mr. Jiulin, and you’d like to buy one of his trademarks. If you do so, what are you getting in exchange for your money? I’m not an expert on Chinese trademark law, so let’s focus on United States trademark law for the sake of the argument. “In the United States, an assignment of a trademark is invalid if the “goodwill” is not also assigned with the mark, but there’s no requirement that any tangible assets be transferred. So what exactly does it mean when agreements recite something like “Assignor does hereby assign to Assignee all rights, title and interest in and to said mark, including the goodwill of the business symbolized by said mark”?